Looking back over my 25 years of angling, I’ve seen lots of changes. Even more so when considering previous generations, through most aspects of the sport. 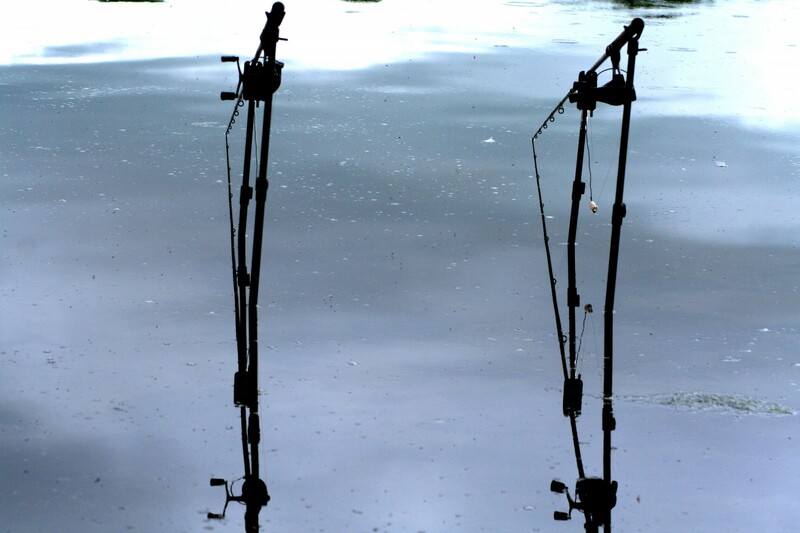 Development/evolution has been dramatic when it comes to tackle, bait, methods, rigs and even venues. One area doesn’t seem to have kept the same pace, which has set me thinking. Looking at the predator section in my local tackle shop, I can see that although the industry marketing machine has ‘sexed up’ most products available, not a lot has really changed. Buy a modern float from Fox for example, and the rig shown on the back will include the float, and egg sinker, wire trace and a pair of trebles. This is not really that different to the gazette bung, drilled bullet and snap tackle that my granddad would have used many years ago. Why is this? I’ll share my thoughts, but I’d like to point out that they are just thoughts based on experiences – I am by no means an expert. Hopefully it will provoke more thinking and interesting discussion. I’m starting to think there are a lot of ‘myths’ in pike angling and many of us ‘follow like sheep’. 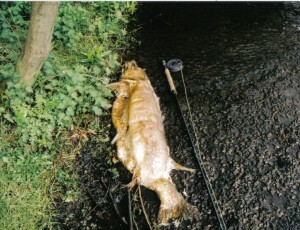 The successful roach specialist of today is no longer trotting bread flake on the Wessex rivers, but throwing out helicopter rigs on large gravel pits. Likewise I doubt you see many carpers free-lining potatoes these days. Yet pike fishing ‘rules’ seem to be set in stone. I’m beginning to question them. In all honesty it’s a rule I follow, but why? Yes I’ve experienced dropped runs, but I’ve also had times when the rod has almost been pulled from my grasp. When thinking about it, the same ‘extremes’ can be applied (for me at least) to experiences with all species, yet we as anglers don’t apply the same rules to those? How many times have you been roach fishing for example and had a pike grab a fish on the way in? I can think of a couple of times where I’ve even landed a fish that wasn’t hooked, yet it wouldn’t let go………. Is that resistance free? 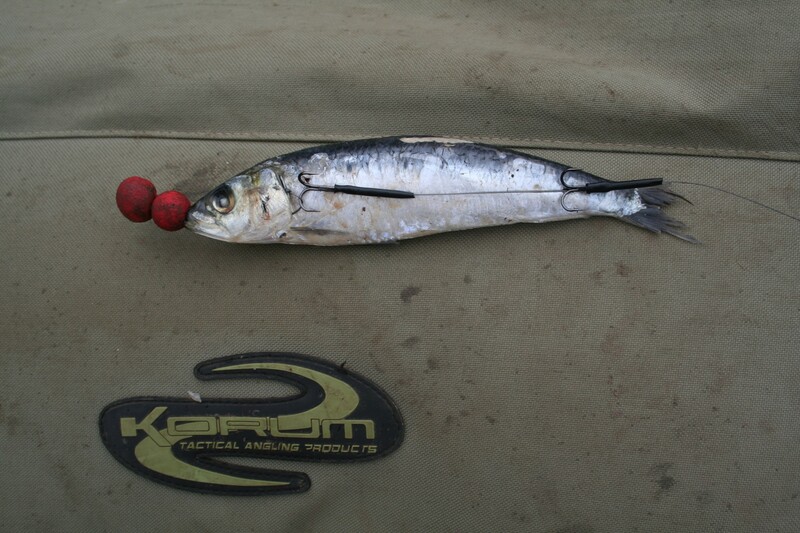 Likewise the aforementioned float rig – buoyant float, fixed weight – is that resistance free? Its still successful though! I’m not suggesting that the future is all about bolt rigs, but as with other fish, in certain times on certain places a more open minded approach could bring better results. Do they? Yes I’ve fished venues that were once easy, but then results went down as pressure increased, isn’t that the same for all types of fish though? I can’t remember finding lots of dead pike on these waters. The difference I think is anglers fishing for other species adopt and change things to keep the results up. I once spent a winter on a venue which once had a great reputation as a pike water, but was now considered to be over-fished and the pike long gone. I had some great days there, fishing (unfashionable) eel sections at long range while everyone else was still lobbing mackerel tails at the reedbeds. The pike were still there. Sadly the lake isn’t – it was drained and made into four match fishing pools which are now full of small carp. Another area I question is livebaiting. I’ll say from the start, that I do it and it’s a great method. But like all methods it has its drawbacks and isn’t always the ‘be-all and end-all’. I smile to myself when people say “you cant catch pike here on deads”, in much the same way as when I hear “the carp don’t feed off the top here”…….. Really? I’ll say that on my local venue my success rate within +/- 20% (angling will never be an exact science) is the same on either lives or deads. The most noticeable difference is the time it takes for take. It’s a small river so mobility is the key, a live is usually grabbed within a few minutes, whereas it may take up to half an hour for the deadbait to go, but the catch rate usually ends up the same. 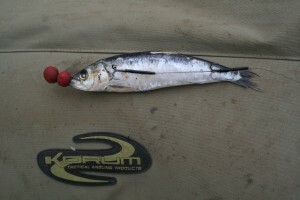 Why is it that most pike anglers favour lures on trout waters where lives are banned? The only benefit I can see it being able to cover lots of water, once the fish are located, why not try other methods? My best days piking occurred on a venue in Ireland. Three hours in a boat resulted in 13 fish, six doubles, best 19lbs. All to close-in static deads. The whole time I was lure fishing with the other rod and not a single follow resulted. Granted, it was not a trout reservoir, but it was a large water with a very high biomass of fish (coarse anglers were taking 100lbs + nets of roach and bream) and the pike were very ‘thickset’ in profile with the lake record at 38lbs. Again I’ll say from the start, I use them and always have. I also believe fish welfare is an important consideration (before anyone gets the wrong impression). I’m not suggesting for one second that they are not required, but thinking to myself and looking back – I’ve landed loads of pike accidently when fishing with light tackle using maggot, worm, bread, etc, without any problems. In fact I reckon I’ve lost more chub through ‘bite-offs’ over the years than pike, yet no one insists on using wire for them? It’s also interesting that the pike I’ve landed on standard rigs have been hooked in the scissors or top lip, as opposed to the deep hooking that sometimes occurs with conventional rigs. As radical as it sounds, I sometimes wonder if we’re missing a trick here and that a single hook, different rig and non-wire trace material may well be better? Hope this is good food for thought. I very rarely leave comments on sites and forums but felt I had to after reading this article, it is so good to hear someone else who shares our thinking towards the quite fragile pike! I get so fed up listening to match guys comaining about the pike and watching people in the winter on their annual pike day out throwing huge trebles tide to winch cable into waters and then hauling out any poor pike they catch and treating it like a shark caught in the 1920s!!! I have been using single hooks barbless hooks for pike for years and although I may drop the odd fish I am positive I get so many more takes fishing with small single hooks on very soft wire. It’s about time the fishing press did something to teach people just how fragile and important exos is. Totally agree, Pike fishing tactics are the same now as when I swas a boy, A long long time ago, Traces, A ggod Point. I have, even as a kid looked at pikes teeth and none meet when mouth closed, so, how can the line get bitten, it can not ! it might get snagged if it is pulled across a tooth, but so could the line before the set up, if pulled across a structure, a tree, a rock, many things. So, now I use straight through 15lb line tied to 2 x hooks, ( 1 treble & 1 Single, barbless, and while I do not catch hundreds of Pike, I have never been bitten through the line. Try it, it feels better & more precise. Some nice points, totally agree regarding the single hooks. However 15lb mono is insanity! It’s not about the bite, as you mentioned, it’s having stressed line pulled over a needle sharp point that will break it. 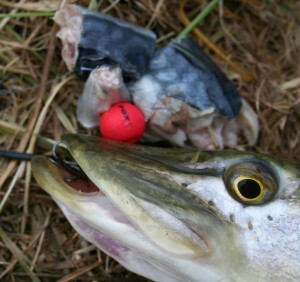 You will be bitten/broken off fishing for pike like this, and typically it will be one of the bigger pike you’ve seen!